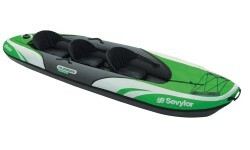 Brighton Canoes is pleased to offer the full range of Sevylor inflatable canoes & kayaks. 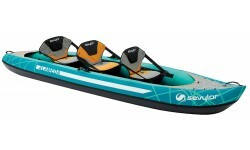 The Sevylor range includes a number of solo, tandem and 3 person inflatables. 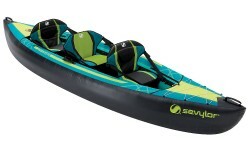 Popular models in the the Sevylor Ottawa, Madison, Alameda, Adventure Plus & Tahiti Plus. 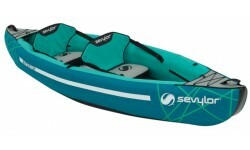 The Sevylor Hudson is great family boat for those looking to get out on the water but don�t have enough space to store a rigid kayak. It can carry up to 2 adults plus 1 child, but with removable seats can also be used tandem or solo. This is a very versatile boat. 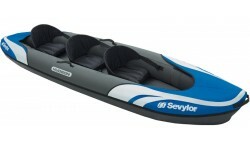 The Sevylor Hudson Premium is a great family boat designed to carry up to 2 adults and a child. As its names suggest this premium model has some neat top of the range features. 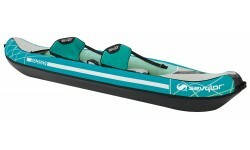 One of the top inflatable kayaks we sell online and in-store.